For a brief moment in history, on 19 March 2018 the world stopped as news spread about the tragic loss of Sudan, the last male northern white rhino. However, in light of this news, there was a glimmer of hope among shattered hearts in the form of a bronze rhino sculpture, titled The Last Three. Installed in New York City by internationally renowned artists Gillie and Marc, the 5.2-metre tall artwork was launched a mere 4 days before the death of Sudan. The sculpture became a powerful memorial, to which millions of residents and tourists flocked. On 2nd February 2019, a highly anticipated sculpture, unlike anything seen before, has yet again inspire millions of people to never give up hope in the fight for rhinos – and the natural world as a whole. 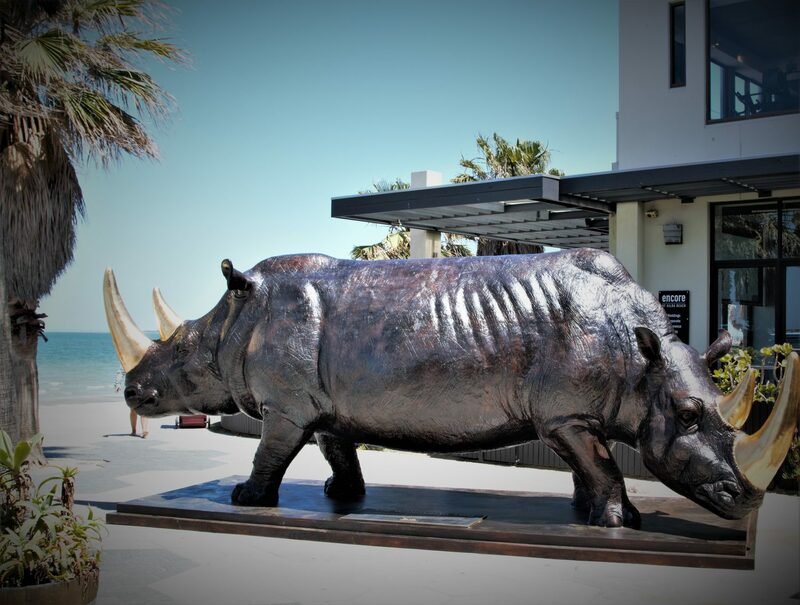 Republica St Kilda Beach, along with world-class sponsors continue the endeavor with the launch of history’s most important rhino sculpture, featuring the only remaining northern white rhinos – Najin and Fatu. The sculpture depicts Najin and Fatu connected in the middle, with their heads facing opposite directions. Both rhinos are trying to pull each other the opposite way to safety. It seems their fate is stuck in place and time with only two left on earth, and no simple direction to freedom. We want The Wonderful Two to celebrate all of the amazing people and organizations that drive positive change in wildlife conservation. The sculpture is aligned with the hashtag #LoveTheLast. Visitors are asked to take a photo with the artwork and share it with the hashtag #LoveTheLast, jump starting efforts to spread critical awareness. Donations to Ol Pejeta Conservancy in Kenya will assist Najin and Fatu to live out their much-deserved final days in peace.